The TechExxpert guide has been updated to fully allow Xcode 4.1 to work. that the past fixes did not work. Please let me know if this guide works/doesn't work.This guide has been modified ..
Apple has been adamantly refusing to create an iPhone SDK support for Windows-based machines. Luckily, there is a work around to be able to fully run the iOS SDK and Xcode support for most all PC's. 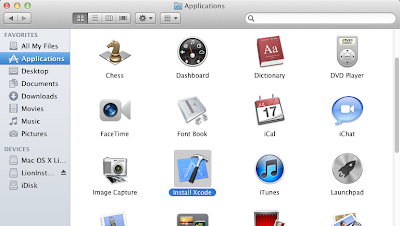 The following steps involve installing a virtual machine on your PC, updating the virtual machine to 10.7 , then running the machine and downloading and installing the iOS SDK and Xcode on to the virtual machine. There are other ways to install OS X on your machine but they involve creating a new partition and installing the Operating System directly to your hard drive. Those ways are much harder and have more confusing steps that could potentially damage your computer. This method is easier and safer to use. The process will take 2-3 hours, but most of the time is consumed by large downloads. There's no software to buy or developer fees to pay. 1. 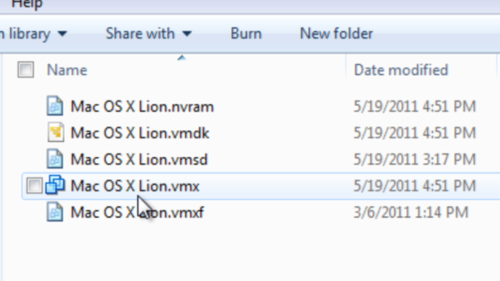 Follow the steps : here to download and install a virtualized version of OS X Lion on your PC. 2. If you don't have a free Apple Dev Account, create one here. 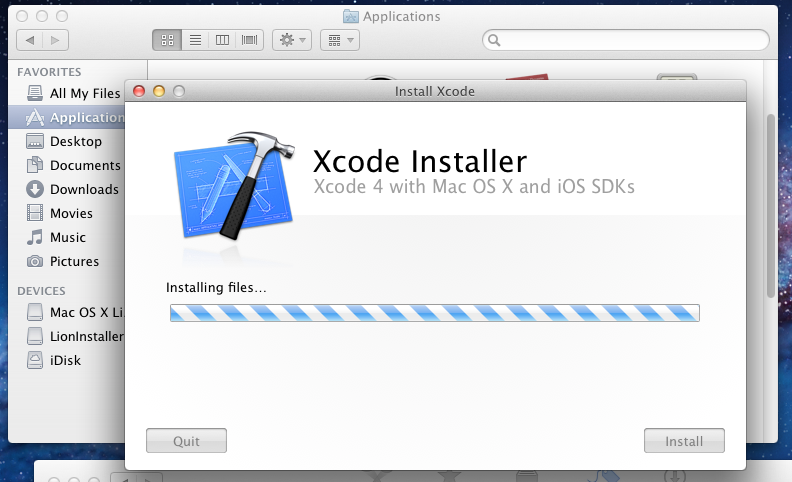 You'll need this to be able to download Xcode 4.1 for free. 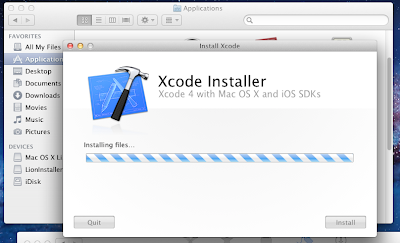 In OS X, open the App Store and download Xcode. You can view progress of the download under the Purchases tab. 4. Follow the on-screen directions then wait for the installation to finish. 5. Once it's done, it should open by itself. If it doesn't, you will NOT find the iPhone SDK in your dock. You will need to open your hard drive. Then Click on Developer, then on Applications. 7. 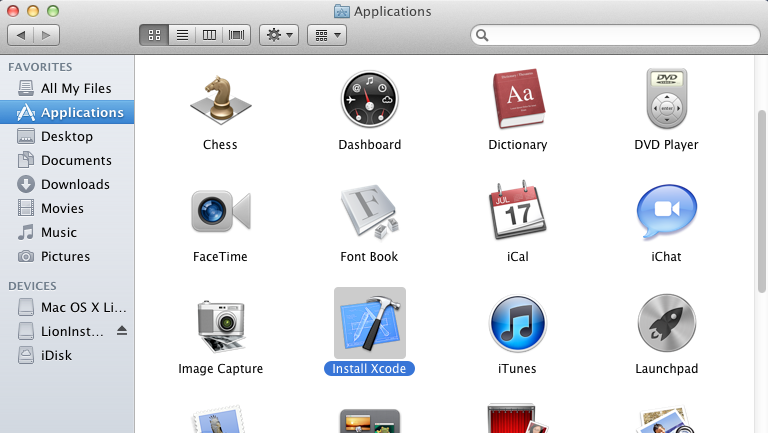 You will now see an icon for Xcode, click it and you can start coding applications. 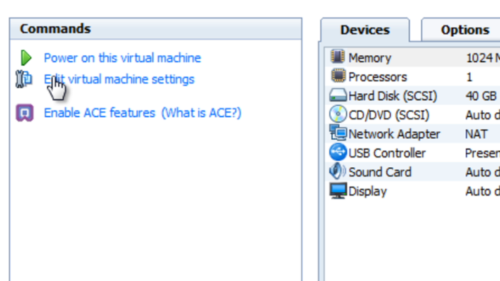 A laptop or desktop computer that supports virtualization (most newer computers do). At least 1 GB of RAM (the more, the better). VMWare Workstation (this is a paid program but a little research will get you it for free). Before you start, make sure that you have enabled Virtualization in the BIOS of your computer. This is usually disabled by default by computer manufacturers. 1. From the file downloaded, double click on Mac OS X Lion VMware Files.exe. Click Run thenYes. This will decompress the files. 2. 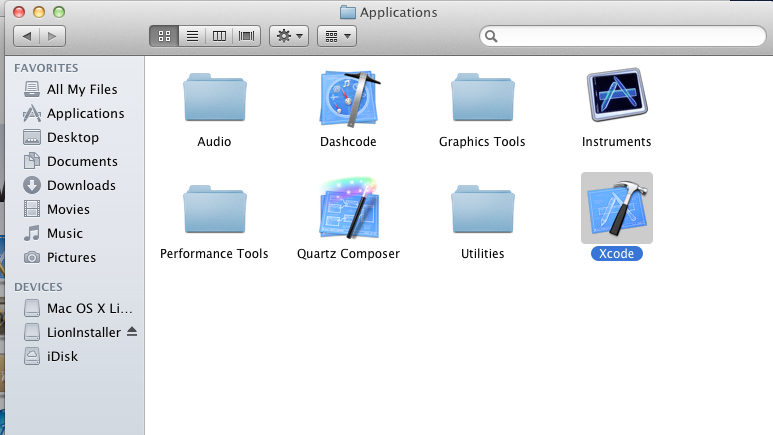 Once done, a folder named Mac OS X Lion VMware Files will appear, double click it. 3. 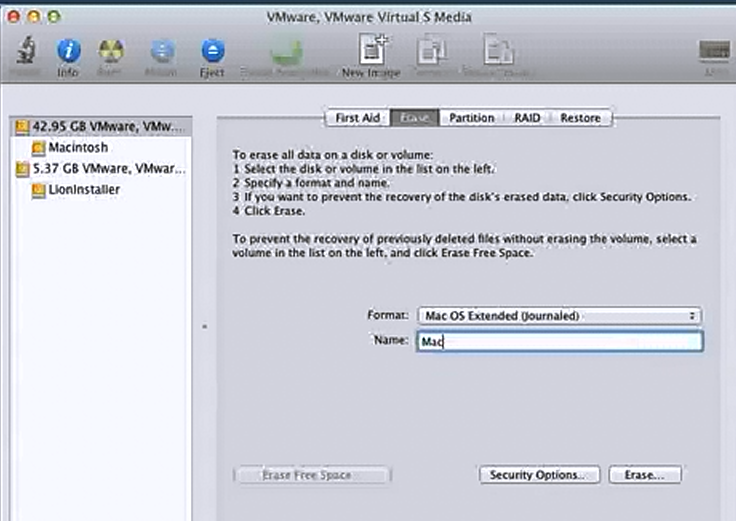 You will need to follow the instructions in this video to unlock VMWare. Instead of using the files from the video, use the files from Step 2. 4. 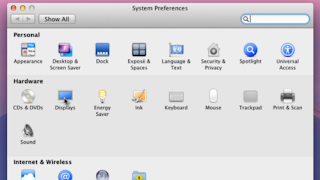 From Step 1, you should have also gotten a folder named Mac OS X Lion. Open that up and open the file named Mac OS X Lion.vmx. Double-click this file. It will open in VMWare Workstation. 5. On the left column, click on Edit Virtual Machine Settings. In the Memory tab, you can edit how much RAM OS X will get. In the Sound tab, change to Specify host sound card, change it to your sound card. After the machine has started and sound doesn't work, change to Use default host sound card. 6. At the bottom of the box is an Add button, click it. 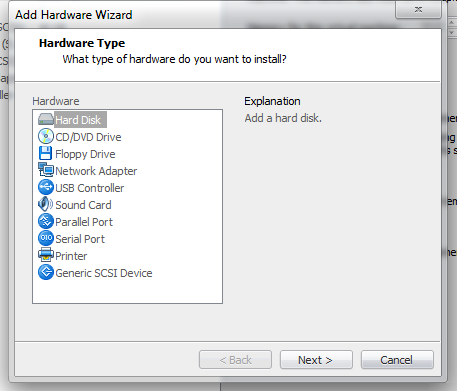 Select Hard Disk from the left, click Next. 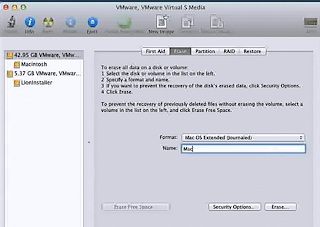 Choose Use and existing virtual disk. 7. Browse for the Mac OS X Lion Installer.vmdk that was downloaded from the torrent. ClickFinish. Click OK to close the box. 8. On the left column, click Power on this virtual machine. 9. If a box asks to repair the image, click Repair. Once the box comes up, click I copied it, clickOK. A message about the CD Drive may come up, just click OK.
10. The machine should power up in a few moments, ready to go. 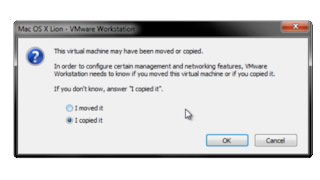 For ease of use, click in VMWare Workstation, click File > Add to Favorites. 11. 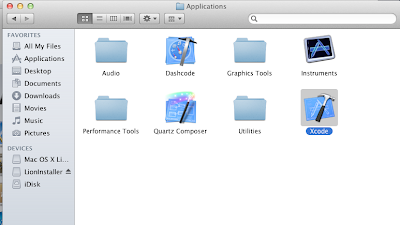 You should now have a Install Mac OS X screen. At the top, click Utilities then Disk Utility. Select the 42.45 GB Hard Disk. Click on the Erase tab. Now you can name your hard drive what you want. Then click on Erase. Click Erase again. 12. Once the process is done, close out of the Disk Utility box, the Install screen will come back up. Click Continue, Agree. Select the 40GB Hard Disk to install Lion. Click Install. The process will take about 30 minutes. Once it's done, the account setup will start. Once that's done, Lion will start. 13. 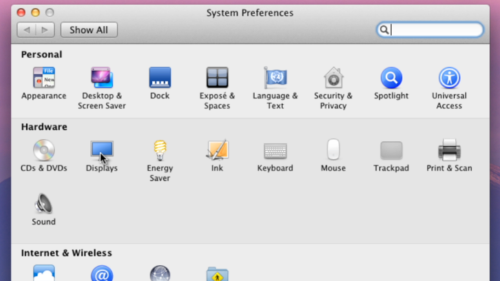 To be able to use the machine in full screen, in OS X open Preferences, click on Displays. Now select the resolution of your monitor. Now in VMWare, click on the Full Screen button on the toolbar (10th button from the left). 14. Now you're done, you can use this OS as a normal to install programs. Hi, Should we make special hard disk partition for this? hello > yes , of course you can make partition for this , but remember thats is not mandatory . Thank you so much for this post. It's really wonderful!! thank you so much for your swift reply!! i checked with your suggestion. Mine is a administrator account so the parental controls doesn't imply on it!! It'd would be a great help if u can remote control my laptop and solve it!!! Please reply at your convenience directly to my email ID: thatspasha@yahoo.com.. I'll send you teamviewer ID and password for remote connection!! Everyone faces the same prob "insufficient permissions to access file" please help us php_blogger !! looking forward to your reply Sir!! as per your step of method ,till 9 step every thing is follow .but whenever machine on it shows error as "insufficient permissions to access file", even parental control is normal. what exactly the problem is ,please any alternate method to install same os file. I downloaded vmware workstation 9 and other files proceeded all the steps but when i clicked power on for the virtual machine it says that "Insufficient permission to access file." please help! e-mail id: ironmanoj5@gmail.com please help! I have the same problem. Did you solve? It says unable to open! insufficient file permission! Thanks for the suggestion @joshie. Now a new error occurs: Transport (VMDB) error -44: Message. The VMware Authorization Service is not running. Can anyone pls help us?????? Excited to run OS X in my laptop but helpless :( because of the error!!! CPU has been disabled by guest operating system.. I am almost done with the hard part. but when i click 'run' in VM machine. i am getting following. please help. thank you. it goes very fast, however i am still manage to capture some part of it as below. Hi, Thanks your blog is very helpfull.. I have installed I can vmware and apple logos at that start of start but I can't abl to see the screen which help us to install XCode.. I am still getting the same message as everyone else about the permission. My reony box was already unchecked. any help would be great. Does any body installed without fail ? Unable to open kernel device "\\.\Global\vmx86": The system cannot find the file specified. Did you reboot after installing VMware Workstation? This is the error i get. Help! hi all , i followed your steps exactly as you discriped in your blog but when i power on the machine i got this message "there was a problem installing mac os x"
my email is rani_575@yahoo.com i will appreciate any help. There was a problem installing "Mac OS X"
Its very similar to the way its explained on this article but with latest versions. Have a look at it. I had the same problem. I'm trying to install OS X MOUNTAIN LION in VMware Workstation 8.3 for Windows. In the end, when I try to run the virtual machine an error telling me that I have access denied for insufficient permissions. I'm already working as an administrator. Have click Run as administrator. I've tried changing the READ ONLY and the system allows not change. I believe not change by being in the mounted image. I think it must be some locking system that is not allowing. this works only for windows 7 or higher or any version of windows OS? I am not having any acknowledgment or any other screen message since 5 hours.It is showing me blank page during installation of vmdsk. (After step 9) .Can anyone please tell me how will be I acknowledged about the completion of installation or how much time it takes to complete the installation. few software development company in Nagpur. Hey, just wanted to drop in and say thanks for providing this excellent info! Thank you! Thanks for sharing this informative blog post. It is really helpful for beginners who just started learning. Keep posting .... ! I want to share with you guy's you can create an application and games too to your Iphone and or ipad not only create apps but you earn money too its just sound great.To Discover How To Create An Iphone Or Ipad App&game just see the link. this is very nice method to install ios SDK & X-code on windows 7. Apple Trade In AppleShark is one of the best places to sell your iPhone or other Apple device. It doesn't matter if your iPhone is old, has a cracked screen, or wont turn on. If you have an iphone to sell, appleshark will make you a competitive offer. When you have an Apple product that you want to get rid of, you have two choices: you can sell or recycle. As a re-commerce service, appleshark specializes in buying Apple products you don't want anymore. You can sell your iPhone, iPad, iPod, Mac Apple TV, or virtually any other Apple device that you can name. Your guide is very easy and helpful. Thanks. I don't have virtulization on my PC. 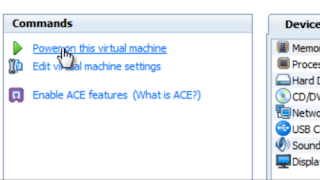 So this virtual machine will not work? Silicon IT Hub stays innovator in offshore iPhone application development India with skilled and experienced iOS development team that takes care of your varied iPhone and iPad application development projects. Your posts is really helpful for me.Thanks for your wonderful post.It is really very helpful for us and I have gathered some important information from this blog. so keep sharing.. I really enjoyed while watching this awesome and interesting blog. Thanks for sharing with us. I really like your video,photo. Thanks for sharing such great information. It is very informative and provides knowledge of Mobile App Development.Visit Here: IOS Applications Development in Bangalore. Hvantage Technologies is leading Mobile application development , and Web Development Company in USA offering various integrated IT Services including Ecommerce Solution, SEO Services & Digital Marketing Services. 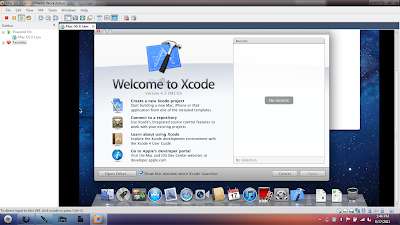 xcode for windows download Thank you for sharing such an amazing article with us. This is very nice article. Keep working on it. Appers – We have the super iOS Development team in world! Offering iPhone App Development Service in Melbourne & Brisbane. This is great blog it’s provide lot of informations when i read this blog i really glad Thanks.